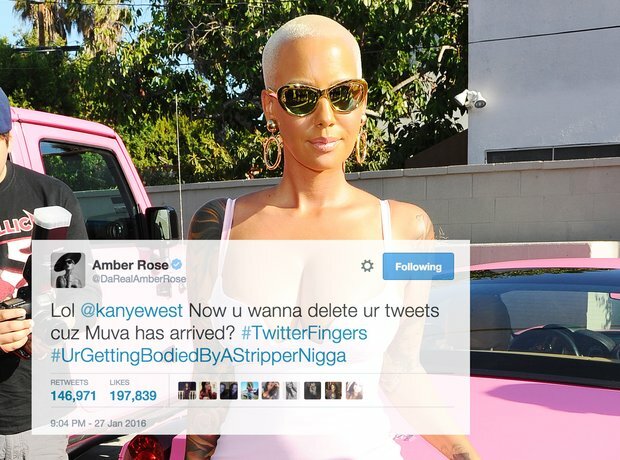 Jan 2016: Amber Rose responds to Kanye's viscious tweets, shutting down the rapper. 16. Jan 2016: Amber Rose responds to Kanye's viscious tweets, shutting down the rapper. Amber Rose hits back at Kanye west with two tweets causing Kanye to delete his previous tweets aimed at her ex husband Wiz Khalifa and son Sebastian.